Post this for inspiration and know you will emerge victorious! A thoughtful gift for a friend fighting illness, emerging from a family transition or anyone who needs a dose of encouragement. Reclaimed steel over a wood frame; slate finish. 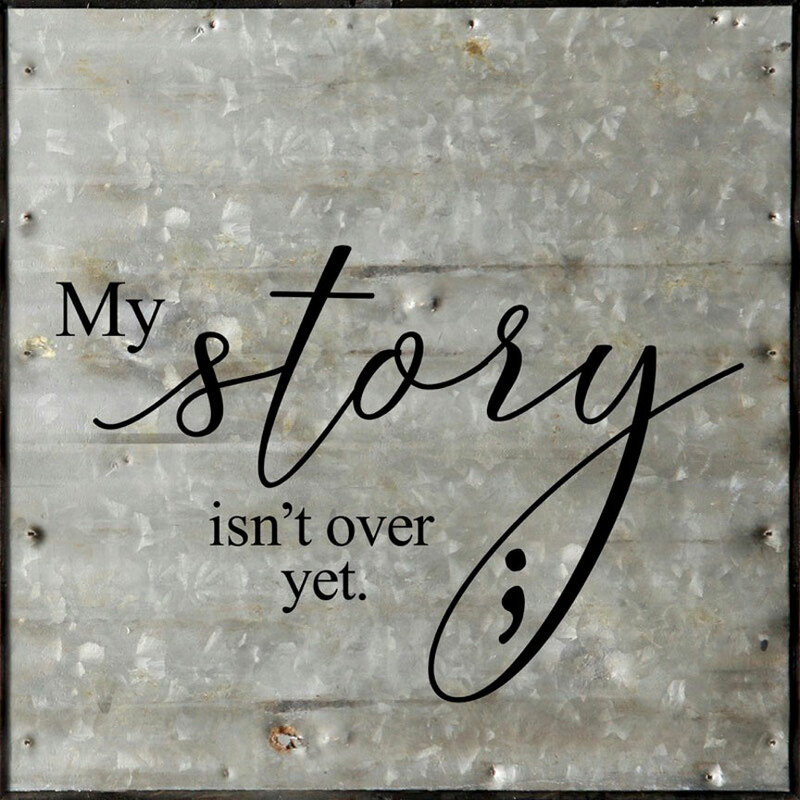 Sign reads: My story isn't over yet.